When you hear about the neighborhoods within the city of Boston, the West End isn't usually at the top of the list. Destinations like the North End, Back Bay or Beacon Hill are more commonly known. But just next to the North End is the West End —and it's actually quite popular. That's mostly because of the main attraction in this part of the city is the TD Garden, home of the Boston Celtics, Boston Bruins and also the venue for many concerts and events. There are plenty of things to do and places to enjoy food and drink within this corner of the city. The West End is easily accessible by North Station on the MBTA, Commuter Rail and Amtrak, and it's also just off of I-93. The most popular destination in Boston’s West End neighborhood for locals and tourists alike is the TD Garden, formerly known as the Boston Garden. That's because it's home of the NBA’s Boston Celtics and NHL’s Boston Bruins. When you're a city of many championships like Boston is today, games are that much more fun to experience. The TD Garden is New England's largest sports and entertainment arena, with over 200 events and 3.5 million people each year. For each game and event, the arena holds nearly 20,000 people. The TD Garden isn't just for sports games. There are plenty of concerts and other events throughout the year. Music fans can experience everything from Dave Matthews Band and Ariana Grande, to Cher and Elton John here. Browse upcoming concerts and grab tickets to your favorite musicians on the concert page of their website. There are even more things to do in the TD Garden that go beyond sports games and concerts. If you head up to the 5th and 6th floors, you'll find The Sports Museum, filled with a half-mile of exhibits and memorabilia dedicated to the history of Boston's sports teams throughout the years. This includes everything from the Boston Celtics and Boston Bruins championships and iconic events like the Boston Marathon. The Sports Museum is open Monday through Saturday from 10 a.m. to 5 p.m. and Sunday from 11 a.m. to 5 p.m. Tickets can be purchased online. You can also go behind-the-scenes in the arena, locker rooms and more through the TD Garden Arena Tour. Speaking of museums, the West End Museum, located at 150 Staniford Street, is one that is specifically dedicated to collecting, preserving and interpreting the history and culture of this Boston neighborhood. According to the museum, the West End was heavily occupied by immigrants, many of whom were displaced by an urban renewal project that took place between 1958 and 1960. The goal of the West End Museum, which is open Tuesday to Friday from 12 p.m. to 5 p.m. and Saturday from 11 a.m. to 4 p.m., is to educate people on the culture behind "The Greatest Neighborhood this Side of Heaven." If this is something that interests you, head on over —admission is free. City Winery is relatively new to the West End, as this wine bar, winery and restaurant opened in 2017. It's close to the TD Garden and the Haymarket MBTA train station — just walk down Canal Street and you'll find it. What makes this spot special is that it's also a 300-seat music venue with about 20 shows each month with many recognizable artists playing in this small-scale setting. City Winery has over 400 different global wines, along with 20 that they make in house. Picking a hotel in the West End will put you in a great location to explore the rest of the city, no matter what neighborhoods and attractions you want to see. From here you can walk to Boston's North End, Charlestown and more. And the MBTA's North Station connects to other parts of the city, or you can take a Commuter Rail train to get to destinations just outside of Boston. There are a few boutique and luxury hotel options within the West End that you can't go wrong with. Try the Kimpton Onyx, The Boxer or the Liberty Hotel, a Luxury Collection property. Note that the Liberty Hotel is technically in the West End, but closer to the Charles/MGH stop on the MBTA Red Line than the Green/Orange Line's North Station. If you find yourself staying at The Boxer Hotel or you're visiting somewhere nearby, stop into the hotel's restaurant, Finch. This modern, cozy American restaurant has touches of vintage decor and is open daily for breakfast, dinner and cocktails. If you're in town for a sports game or concert, be sure to ask about their TD Garden Concert Package, which will get you two complimentary drinks. There are plenty of options for sports bars in the West End neighborhood given that it's home to the TD Garden. Cross right over Causeway Street and there will be several bars right on the street corners, such as Tavern in the Square and The Harp. There are plenty of other options on the three perpendicular streets to Causeway: Canal Street, Friend Street and Portland Street. The Fours, BEERWORKS and West End Johnnie's are popular spots. If you're looking for more than bar food but still want to watch a game, walk over a couple of blocks to Ward 8. Boston is known as a walkable city – and that means that no matter where you stay, you can easily explore nearby neighborhoods. If you’re in the West End, some of the best areas to check out are the North End, Charlestown and Faneuil Hall. The North End home to Boston's best Italian food, Charlestown is just over a bridge from the North End and Faneuil Hall is where you'll find a shopping marketplace known as Quincy Market. You can also check out the farmer's market at Haymarket. The Boston Harborwalk isn't quite in the West End, but it's close enough. It's a 50-mile public walkway that connects eight of the city's neighborhoods. From the West End, you can start walking along it from the North End, not far from the TD Garden and Causeway Street. Once again, because Boston is such an easy city to explore by foot, there are plenty of things to do nearby the West End, such as visiting museums. That includes visiting the Museum of Science or Children's Museum. The Museum of Science is technically located in Cambridge, but it's a short walk from the West End over a bridge. This museum has more than 500 exhibits and is known for its focus on STEM education (science, technology, engineering and math). There's also a popular IMAX theater. The Museum of Science is open Saturday to Thursday from 9 a.m. to 5 p.m. and Friday from 9 a.m. to 9 p.m. If you're traveling with kiddos, check out the Children's Museum in Fort Point. The museum caters to kids and has been a Boston staple for over 100 years. The Children's Museum is open Saturday through Thursday from 10 a.m. to 5 p.m. and Friday from 10 a.m. to 9 p.m. Even if you want to head outside the city for a day, you can avoid the hassle of renting a car and figuring out to park it. Boston’s MBTA trains are easy to navigate, especially from the nearby North and Haymarket Stations. 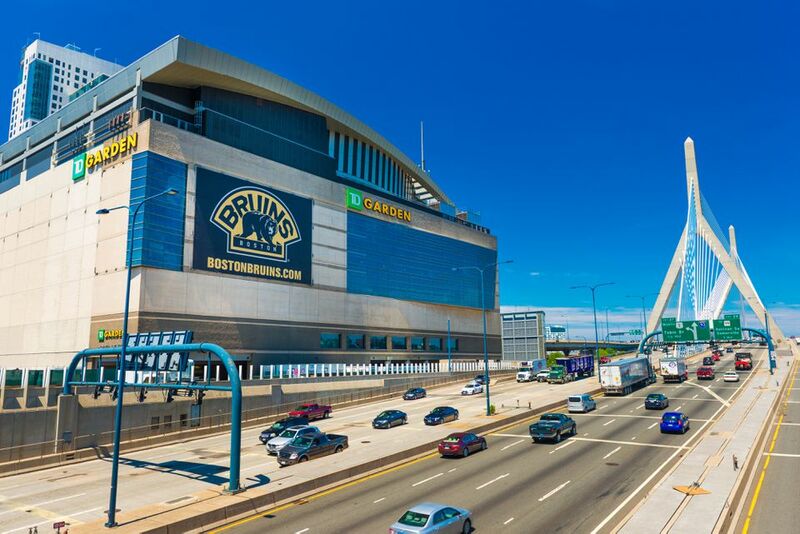 North Station can be particularly convenient, as it is connected to the TD Garden and one of the bigger Boston train stations, offering access to not only the MBTA Green and Orange Lines, but also to Amtrak and the Commuter Rail. If you have a car, there are quite a few places to visit within an hour driving distance. Newburyport and Portsmouth, New Hampshire are cute coastal towns with nearby beaches. Or you can head West to Nashoba, to ski or visit a popular vineyard. And depending on what the traffic situation is looking like, drive south toward Cape Cod, where you can hop on a ferry to Martha's Vineyard or Nantucket. Note that there are also ferries from Boston that will take you to Provincetown, the tip of Cape Cod.